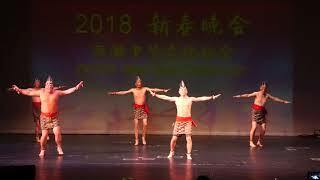 The following PDF file is the 2019 WCCA Chinese New Year Event registration and ticket order form. The onsite registration will start on Jan. 26, 2019. Please note the following. 1. Event Time: Saturday, February 2nd, 2019, Dinner 5:00 pm to 7:00 pm, Performance 7:00 pm to 9:00 pm. 3. There will be no charges for WCCA students, teachers and board directors. Complimentary tickets will be issued. 4. Performance only tickets are free and not allowed at the cafeteria for dinners. 5. Each raffle ticket is $1. And $5 will buy six raffle tickets. 6. Please make checks out to "WCCA". If you prefer to sending the order form to us. Please fill out the form and send it with the payment check to the following address. Due to the upcoming snowstorm, there will be no classes on this Saturday Jan. 19, 2019 at Westlake Chinese School. Please stay warm and stay safe. 2019 Spring Semester Starts on Jan. 5. Please see school calendar for details. Here is the complete registration form including the calendar. Thanks to Qi for the great photos and videos of the celebration! The 2018 WCCA Chinese New Year Gala will be hosted on Feb. 10. The onsite registration will start on Feb. 3, 2018. Please note the following. 1. Event Time: Saturday, Feb. 10, 2018, Dinner 5:00 pm to 7:00 pm, Performance 7:00 pm to 9:00 pm. 2. Location: Performance Art Center and Cafeteria at Westlake High School at the following address. 6. Please make checks out to "WCCA". If you prefer to sending the order form to us, please fill out the form and send it with the payment check to the following address. WCCA 2017-2018 School Year Starts on September 9, 2017. Please check the registration form below for registration forms, class information, classroom locations and school calendar. A lot of WCCA members are connected through school WeChat group. To expand our reach to all members on social media, we created a Facebook page. All important school news will be announced on the school Facebook page. Please check out the page, like and follow. You can also share your story at WCCA on the page. Please see the attached pdf file for the 2017 WCCA Chinese New Year Event registration and ticket order form. The onsite registration will start on Jan. 14, 2017. Please note the following. 1. Event Time: Saturday, January 21, 2017, Dinner 5:00 pm to 7:00 pm, Performance 7:00 pm to 9:00 pm. WCCA 2016-2017 School Year Starts on Saturday Sep. 10, 2016 at LBMS! Please come to school to register at 9am on that day. You can download the registration form, classroom layout and school schedule below. The last day of WCCA summer program is August 20. Week 9 has been moved from August 13 to August 20! 5/21/2016 is our last day of school for 2015-2016 School Year. We will have a lot of events on that day. The schedule is as follows. 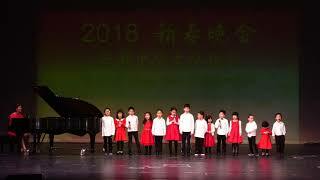 At the last day of this semester, we will have music performance on May 21st from 11:15am to 1:20pm in Westlake Chinese School. The address is Lee Burneson Middle School 2240 Dover Center Road Westlake, OH 44145. Please fill out this form ASAP and enjoy your performance. The application deadline is May 18th 2016. Saturday 5/21/2016 will be our last day of school for 2015-2016 school year. We will have a Potluck from 12pm to 2pm in the Lee Burneson Middle School cafeteria. There will be no outside picnic this year! Please let us know if you will attend. WCCA will provide main food. But you are encouraged to bring your favorite dishes and sign up for the items below other than the WCCA items. Thanks. Next Saturday (5/21/2016) will be our last day of school. We will have a lot of events on that day. The schedule is as follows. WCCA 2016 Chinese New Year Celebration will be held on Saturday Feb. 13, 2016 at Westlake Parkside School. The 2015 Mid-Autumn Festival (Moon Festival) falls on Sunday, September 27, 2015. WCCA will celebrate the Moon Festival on Saturday, September 26, 2015 with culture activities and moon cake taste in each Chinese class. WCCA 2015-2016 School Year will start on Sep. 12, 2015 at Lee Burneson Middle School. The 2015-2016 school calendar has been updated. The 2015-2016 registration form can be found by click on "Registration Forms" from the left menu. WCCA will host 2015 WCCA Piano Concert on Saturday May 30 at LBMS cafeteria from 11am to 1pm. It is open to public. All WCCA students are encouraged to perform. Please send your name and programs to yongyuanfei@126.com or rhythm608@yahoo.com . The piano instructors are Ms. Chan Zhou, Ms. Ning Chen and Mr. Manuel Llorens. Ms. Chan Zhou will be in charge of the event. Westlake Chinese School will be closed on April 4 and April 11, 2015 for the spring break. 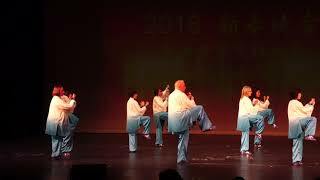 The 2015 Chinese New Year will be celebrated by WCCA on Saturday February 14, 2015 with dinner from 5:00 pm to 7:00 pm and performance 7:00 pm to 9:00 pm at Performance Art Center and Cafeteria at Westlake High School (27830 Hilliard Blvd., Westlake, OH, 44145). On this Saturday Jan. 10, all WCCA activities using the gym will be canceled or moved to other places. Mom dance and Beginner Thai Chi will be moved to the choir room. Martial Arts will be in an open space. All badminton and table tennis will canceled. Due to the gym use restraints and other conflicts, we have made adjustments to the elective activities as follows. 1. On 9/13, 9/27 and 10/4, all activities using the gym before 11am will be canceled or moved to other places. Mom dance will be moved to the choir room. Adult badminton and adult table tennis scheduled before 11am will be canceled. 2. On 10/11, all activities using the gym will be canceled or moved to other places. Mom dance and Beginner Thai Chi will be moved to the choir room. Martial Arts will be in an open space. All badminton and table tennis will canceled. 3. All activities will go back to normal from 10/18. 4. Math class will start from 11/1 (was 9/27 on registration form). Please register. Please check the "School Calendar" page for detailed calendar. 11:00 am to 1:00 pm Extracurricular Activities including Dances, Martial Arts, Thai Chi, Table Tennis, Badminton, etc. Please use the back parking lot and back entrance. WCCA 2014 Summer Programs will start on this Saturday July 12 starting at 10:00am. The location is as follows. The summer programs will last 6 weeks from July 12 to August 16. All classes will be on Saturday. The adult Thai Chi and children music classes are form 10am to 11am. The children Martial Arts classes are from 11am to 12pm. Please sign up for the year end picnic on June 14 by clicking on the link below. Please sign up as soon as possible so we can prepare for the picnic accordingly. There will be no Chinese classes on June 14. But we have a lot of activities on that day. The schedule is as follows. We will have the following events on this Saturday (May 3) in our school other than the normal activities. Everybody is welcome to join us. The inaugural WCCA Student Art Show organized by WCCA Student Council opens on this Saturday April 12, 2014 from 2pm to 4pm at Bradley Bay Health Center (605 Bradley Rd, Bay Village). The art show will be closed on April 19, 2014. The art show is co-sponsored by WCCA and Confucius Institute at CSU. Everyone is invited. Keep in mind that parking space is limited and car pooling is encouraged. Winners will be announced at grand opening and cash prizes will be given out for winners. Please join us to celebrate our First Annual Art Show and showcase our Chinese School students talent to our special guests and community. Special guests include Bay Village Mayor Ms. Debbie Sutherland, Westlake Mayor Mr. Dennis Clough and President of Westlake School District Board of Education Ms. Carol Winter. Bay village retirement center help host the show. Popular vote is still on going. Largest reward (one in each category) will be handed out next Saturday. Please go enjoy the show and cast you votes for your favorite! Next two weeks are spring break. We will have no school on March 22 and March 29. The next school day will be on April 5, 2014. What a blast of celebration last Saturday night! On behalf of our board of directors, I'd like to thank our principal Mr. Yumin Yin and his team for their dedication. Many thanks to our partners and sponsors for their generous supports. Thank you, our wonderful teaching staff, Debbie Liou, Xiuzhi Ren, Yong Cao, Xiaoxue Ma, Chan Zhou, Yixin Marsick, just name a few, for bringing such a wonderful celebration event to our communities. Also, thank you, our active, fun loving，all age performers, you bought us a great show, and a warm memory surely will last for long long time. Last but not least, thank you - our stay behind scene volunteers, you worked tirelessly behind scene to make this happen; Mr. Yinchuan Cha is just one good example of so many of you, YOU are all true heroes. Location: Performance Art Center and Cafeteria at Westlake High School at the following address. The ticket prices are $10 for adults, $5 for children under 10. Children under 5 don’t need tickets. Performance only tickets are offered to public for free. People with performance only tickets are not allowed at the cafeteria for dinners. Please contact us at westlakechinese@gmail.com if you need tickets. The following is a rough schedule for the New Year party stage rehearsal. We just have 3 hours to rehearse the whole show, please be ON TIME for your turn. 3:10 - 3:50 pm open for individual class to practice on their own program. Debbie will be there to arrange the sequence to meet your need. Eight (8) students from our Simplified 6 class (teacher: Xiufen Zhang) took the HSK Level 4 test in December, 2013. Seven (7) of them passed the tests with high scores. Below are their names. Please join me to congratulate teacher Zhang and all eight students for their great achievement. Our school will be open on this Saturday Feb. 1, 2014. Please continue to register for our Chinese New Year celebration event on Feb. 8, 2014. Performance only tickets are offered to public for free. People with performance only tickets are not allowed at the cafeteria for dinners. Please contact us at westlakechinese@gmail.com if you need tickets. The 2013 Fall semester just ended on Dec. 21, 2013 with a wonderful potluck party. We will take winter breaks on Dec. 28 and Jan. 4. The 2014 Spring semester starts on Jan. 11, 2014. All classes and activities will continue as usually except the table tennis and badminton since the gym is still not available due to the basketball tournament on Jan. 11. The gym will be available to our Chinese school from Jan. 18, 2014. 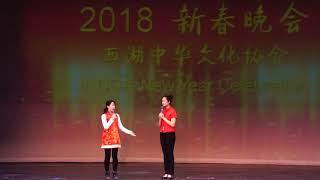 Our Chinese New Year celebration event will be hosted at Westlake High School and Performance Art Center on Feb. 8, 2014 from 5pm to 9pm. Please mark the date on your calendar. As a tradition, WCCA will have a year end potluck party on Saturday Dec. 21, 2013 to celebrate the coming holidays. Chinese school will provide plates, bottle water, pizza and some Chinese food. We are ask parents to bring favorite dishes, fruits or desserts to share. The party will start at 10:45am. Chinese classes will end 15 minutes earlier. The after school activities will start 15 minutes later. We will need parents to volunteer to serve the food and drink. WCCA will celebrate Moon Festival with moon cake tasting and cultural activities on this Saturday Sep. 21, 2013. The agenda of the day is as follows. 9am to 10am Students celebrate Moon Festival with their teachers in their classrooms. 10am to 11am All students, teachers and parents celebrate Moon Festival in the school cafeteria with moon cake tasting, student performances (singing, poem, etc) and teachers choir. Please come to join us. WCCA will prepare moon cakes, fruits and water. Westlake Chinese School had more than 100 students on the first school day. We enroll new students all year-round. Please come to join our existing new school year with Chinese language classes, Chinese Culture classes, Chinese art, Martial Arts, Table Tennis, Badminton and Dances. 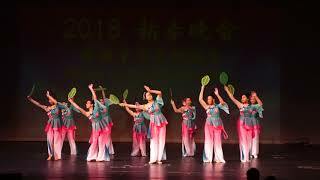 The first day of Chinese school will be on Saturday Sep. 7, 2013. Please check "School Calendar" page for detailed events during the 2013-2014 school year. Please go to "Registration Forms" page for the registration information. We will move to the new school building next to the old school building with Lee Building Middle School. Below is a picture from the open house day (July 30). 1. Registrations for 2013-2014 School Year and 2013 Summer Program start now. Forms are posted on Registration Forms page. Please send the filled forms to the following address or submit them during the year end picnic. 3. Year End Picnic at Huntington Beach, Bay Village on June 1. There will be no school. The makeup Kungfu classes are from 10:30am to 12:30pm outdoor. The picnic hours are from 10am to 3pm. More outdoor activities will be planned. Please note that all activities will be at Huntington Beach. There will be no Chinese school on 3/30 and 4/6 due to spring break. The next school day will be on Saturday 4/13/13. 2013 WCCA Chinese New Year Party photo album has been posted online. What a night! 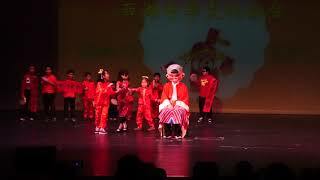 With delicious food and a great show, I hope you enjoyed yourself at 2013 WCCA CNY party. I want to thank all performers, students, teachers and parents for making this a safe and successful event. Special thanks go to the following. Here is Westlake Chinese 2012-2013 School Calendar for you to use. Please print it double sided in color and stick it on the refrigerator. You can always check our online calendar by clicking the "Events and Calendar" button on the left panel. WCCA will have a new dancing class for small kids (under 8 years old) between 11:15 am and 12:00 pm on Saturday. Ms. Xiuzhi Ren will be the instructor. She is our Pre-school teacher this year and Culture 1 class teacher last year. Below is her resume. Ms. Ren obtained Bachelor of Education (Preschool Focus) from Beijing Normal University. 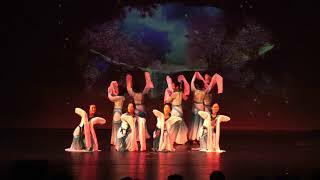 She once studied in Beijing Dancing School and Beijing Children Teachers' School and worked as dancing instructor in Beijing Children Teachers' School for three years. She then joined a group of "Comprehensive Scientific Study for Preschool Education," which was sponsored by Chinese National Committee of Education, Beijing Normal University and British Oxford University, as the first executive teacher teaching at the study site - Beijing 5th Kindergarten. 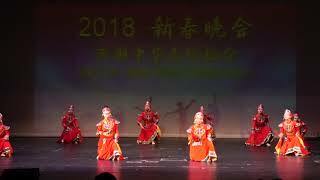 Being familiar with different kinds of children's dance, her teaching goals are as follows: 1) Cultivate children's ability to respond to music by rhythmic training; 2) Build children's temperament by using body-training style of ballet; 3) Teach different children's dancing styles and establish children's performing ability and art on the stage. 任秀志老师，北京人, 北京师范大学教育系学前教育专业学士. 曾就读于北京舞蹈学校和北京幼儿师范学校, 并留校于北京幼师任舞蹈教师. 之后加入由中国国家教委, 北京师范大学和英国牛津大学联合组办的"幼儿综合教育科学实验小组," 在北京市第五幼儿园作第一执教老师, 曾获教育科研一等奖. 熟悉各类少儿舞蹈，经常组织国内国际少儿表演活动及执教顶级外宾接待观摩课。任老师的教学宗旨是: 根据儿童的生理, 心理特征 1) 进行音乐节奏的训练, 培养对音乐的反应能力; 2) 引用芭蕾形体的训练, 培养良好的气质; 3) 渗入舞蹈技巧的训练, 为学习高难度的舞蹈打下良好的基础; 4) 学习不同舞种风格及可以登台的表演性舞蹈. Art class （美术课）starts on Saturday Sep. 8 from 11:00am to 12:00pm. Art class teaches children from 5 to 10 years old Chinese painting in room 101. Ms. Feng Li is the teacher. Kungfu program（武术课）starts on Saturday Sep. 8 from 11:00am to 12:00pm in the Gym. On Sep. 22, Kungfu class will be expanded to two classes. Class from 11:00am to 12:00pm is for anyone 8 and above. Class from 12:00pm to 1:00pm is for small kids under 8 years old. Coach Yong Cao will teach both classes. Pingpong class（乒乓球）will start on Sep. 15. The class is limited to 8 kids. WCCA has two (2) high quality table tennis tables on the second floor of the gym at Lee Burneson School. They will be available for WCCA parents to play between 9:15am to 10:45am on Saturdays during school year. Please bring your own paddles and not to be too rough with the new tables. After 10:45am, Coach Ng will take over the tables to prepare for the class. Chess（国际象棋）: WCCA works with Progress with Chess to offer high quality chess class(es) for our students. Our chess program this year will start on Saturday Sep. 15 between 11:00am and 12:00pm at Room 121. Room 120 will be available if we need split the class in the future. Please note that the chess class will let kids try once only. They would have to make the decision before the second class starts on Sep. 22. Dance programs（舞蹈）will restart on Sep. 22 when Debbi comes back from her vacation. The time slot is moved to 12:00pm to 1:00pm for kids to reduce conflicts with other programs. Mom's dance program stays same. Please contact Wang Xiaoyan to sign up. Below is Debbie's plan for this year's dance programs. The class will teach the fundamental of Table Tennis strokes including the serve, the forehand, and the backhand. Once the fundament has been taught, students will perform repetition of strokes to build muscle memory. The last part of the class is to incooperate the strokes into game play. The class runs from 11:00am - 12:00pm every Saturday after regular Chinese classes. The coach is "Anthony" Cheok Yurm Ng. All regular language and cultural classes for the fall semester of 2012-2013 school year start on 8/25/2012. Chinese Classes are from 9:00am to 11:00am on Saturdays. Extracurricular activities are generally between 11:00am to 1:00pm. We are excited to announce that we plan to add Chinese Martial Arts class from beginning of 2012-2013 school year. 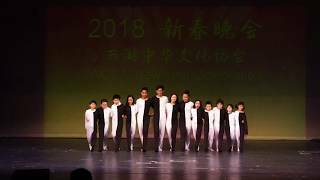 The Master, Mr. Yong Cao has been teaching/training students in Great Wall Chinese school for many years, his students has performed in many local events and been recognized widely in Greater Cleveland area. 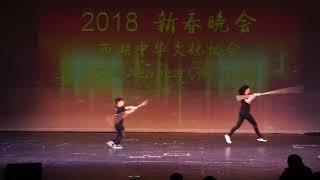 Mr. Cao teaches Tai Chi, Kungfu and Chinese Martial Arts. Below is the registration form for 2012-2013 school year. The tuition remains unchanged for next year. Again, we will waive the registration fee for those who submit the form along with the check before 6/2/2011.